Shaw Industries Group, Inc., is the world’s largest carpet manufacturer. 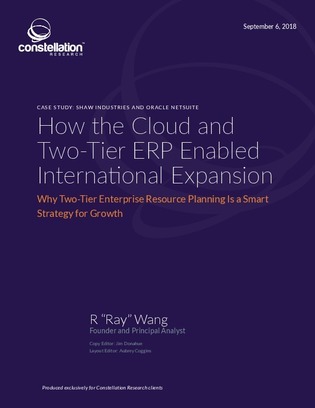 Looking toward international expansion, Shaw needed a new ERP plan for its international expansion. Shaw Industries was hesitant to use the cloud for its core purposes, but found a compromise: Two-tier ERP. Discover how Shaw used different ERP systems for its headquarters and its non-North American operations, and see the benefits in agility and expansion.